In this article, you will discover how you can best go about finding an excellent metal detector at an entry-level price. If you’re brand new to this hobby, or even if you’re a veteran looking to get back into the swing of things at a reasonable price, this article will help you not only determine what features make a solid metal detector at an affordable price, but we’ll also list our five favorite detectors that are the best models for the money so that you can get outside and begin your hunt for buried treasure! When you are looking for a metal detector, there are a few things you need to consider as you start your search for the best first metal detector for your plans. Who will be using the metal detector? Do you want to find everything or be able to change settings according to what you hope to find? How deep do you want the metal detector to search? How big of an area do you want to cover? Now, when you begin your search, think about who will be using the detector, as well. Metal detectors come in different sizes and weights, and if a child will be using it, there are several models designed especially for their smaller body size. Also, you need to remember that even lightweight models will get heavy very quickly as you are searching for your treasures. You may want to purchase a smaller model to start. Many people who have experience with metal detectors tell new users to purchase a detector that has the ability to change the settings so you can lock out certain metals. It can extremely frustrating to hear the beep every time you scan over an old nail or a pop can. You do not want to become irritated by junk and give up looking for the real treasures. As a beginner, you will also want to choose a model that only searches to a depth of less than eight inches. As with all hobbies, you want to have fun, not spend all of your time digging deep holes and then finding nothing but an old screw. A depth of eight inches is usually a fairly quick dig and then you can move on to new treasures. Many new users make the mistake of purchasing a metal detector that searches the largest area possible, but again, this can be frustrating. If your detector indicates a coin and you want to dig for it, a metal detector that narrows down the area to a few inches will make it easier for you to find the metal. If you choose a detector that covers several feet, you will spend all day digging with little luck finding what the detector initially discovered. Therefore, to begin this new hobby, many beginners will often choose to purchase a less expensive metal detector. But this, of course, is a double edged sword. On the one hand, you do not want to spend a ton of money on something that you may decide is not as much fun as you imagined. And yet on the other hand, if you buy the cheapest model, it may not have some of the features you need (or it may be completely ineffective after several months) and the results will ultimately be the same. That’s why I’ve listed a handful of great metal detectors (below) that I think are ideal for anyone that is looking for an entry-level model as they enter this awesome hobby. First, as you begin your search for a beginner metal detector, choose several models and compare their features to your list of wants and needs for “TH-ing” (also known as “treasure hunting” within this hobby!). Will you want a metal detector that can be used on land or water? Do you only want to find jewelry or are you excited to find anything to start? Will you be spending a lot of time using your detector or will this just be a once in a while hobby? With all of this in mind, here are a few options for you to check out. For a little more than $100, you can get the Barska Winbest Elite Edition. It searches to a depth of six inches, which would be great for a “newbie” treasure hunter. It has concentric circles that search an area of about eight inches, so you can easily narrow down where you need to start digging. It is fairly lightweight at only three pounds and comes with two nine volt batteries. This allows you to keep hunting for up to 20 hours without recharging. This model also has 12 settings for you to adjust to find just what you are looking for. For your comfort, this detector has adjustable arm cup and straps so you can find the perfect fit for you. It also has a headphone jack so you can listen for the beeps you want to hear, as well. Even with all of this, I would only give the Barska Winbest Elite three out of five stars because it only has a year warranty and no instructional video comes with the purchase. 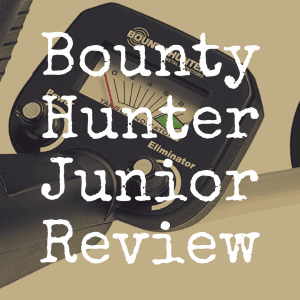 The Bounty Hunter Quicksilver is a great beginner metal detector. It’s priced around $125, so it isn’t too expensive, but it offers many features so that those brand new to detecting can have the features they want at a price they can afford. This product comes with a preset ground balance that neutralizes the detectors response to minerals in the earth. It also has “Squelch-Tech” that stops false signals and a pinpointer that can narrow down where you need to begin your search for your treasure. It has an awesome digital display that new and experienced searchers can use, too. Weighing in at just under three pounds, it is lightweight and searches a depth of eight inches for small objects. For larger objects, it can search to three feet. 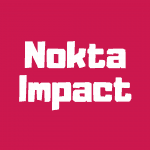 It is also designed for the comfort of the user with adjustable heights, padded armrests and other features. With all of these features, I would highly recommend this model with four and a half stars out of five. It is easy to learn and is very accurate. It also has a five-year warranty. The Xcellent Global Metal Detector features settings so you can eliminate “pings” for object you are not looking for. If you want to know every time you swipe over metal, there are different tones to tell you what has been found so you do not need to dig unless it is an object you want to find. It searches to a depth of 6 inches if the object is large enough. It is a little disappointing that it won’t search deeper and the construction seems to be a little cheaply done. Still, it is very lightweight and easy to use, so it might be a good choice for a beginner. Because it isn’t as sturdy as other models and due to the limited depth it can search, I would give this model only two out of five stars. Part of the reason for this is that it can sometimes not read or display information properly to the user. Sometimes, it may detect two very different metals as the same. You don’t want a detector that has, for example, trouble identifying between gold and iron. This can sometimes happen with this particular detector, but remember, this is a very cheap detector (under $100) and if you happen to get a well-functioning model, you’ve got a very low cost barrier of entry into a incredible hobby. And should you enjoy metal detecting once you’ve tried it, you can always upgrade in the future. The Ace 250 has a large scan area and has a pin point feature so you can easily find your treasure. It also has 12 different settings so you can be notified only when the objects you want to find are swiped over. This model will search to a depth of about 8 inches and it needs four AA batteries. People who purchase this model advise others to always carry extra batteries as they do not last long. 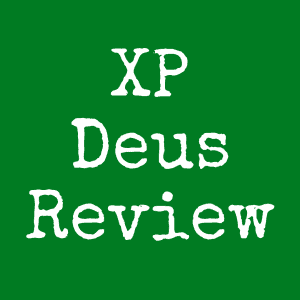 It received four out of five stars from users. One of the best features of this metal detector is it is water proof. It can be used to search in water as well on land. It searches to a depth of ten inches and uses two nine volt batteries that will last about 20 hours. It has a two year warranty. Its search area is about nine inches and has a pin point feature. The display shows the depth you are searching and it has different settings so you can find exactly what you are looking for. This is a great metal detector for searching beach areas. I’m giving the Coinmaster four out of five stars because of the long battery life, the model being waterproof, and for its ease of use. As you compare your favorite models, be sure to check whether the detector is water proof if you plan to use it anywhere near water. It may seem unlikely, but you never know where you will have the chance to hunt and you don’t want to destroy an expensive toy by accidentally falling into the water. Metal detecting is going to open a whole new world of exploring for you. Anyone who wished to be a pirate as a child will love swiping the ground in the hopes of finding a “cartwheel” (silver dollar) or a “rosie” (silver Roosevelt dime). 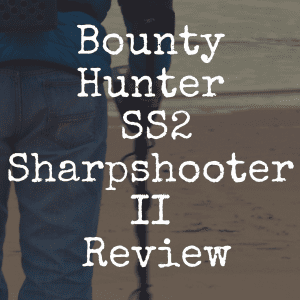 You could become a relic hunter, or one who hunts in the woods instead of a beach hunter. You could become lucky enough to stumble upon a “cache” or a big find of jewelry or coins found together. You may even find a “thingy” or something that you can’t even determine what it is! And that’s all part of the fun of this hobby. If this article helped you, please “like” our brand new Discover Detecting Facebook page! 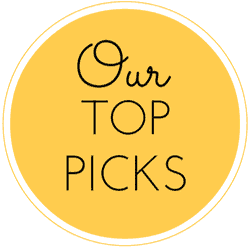 For more helpful metal detecting stories, articles, and reviews, be sure to come back to Discover Detecting! 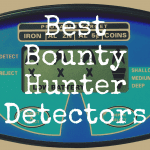 What’s the Best Bounty Hunter Metal Detector? 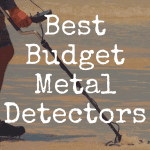 What’s the Best Metal Detector for the Money?